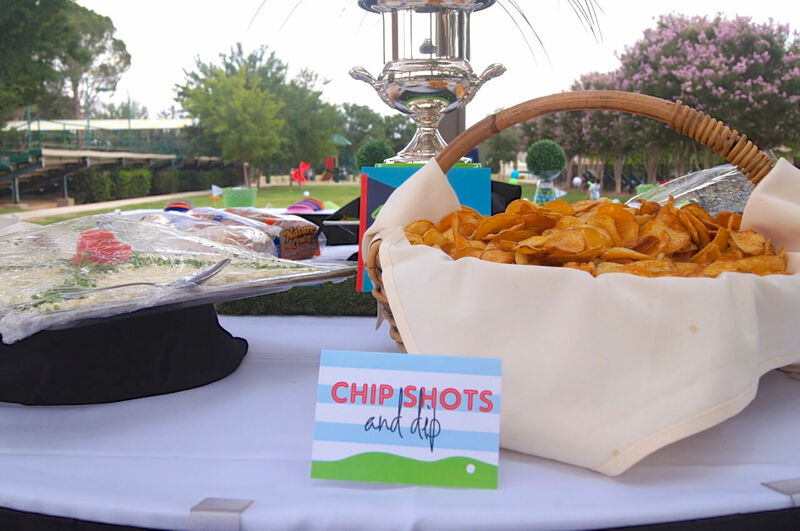 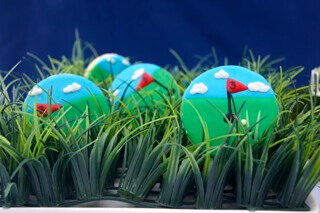 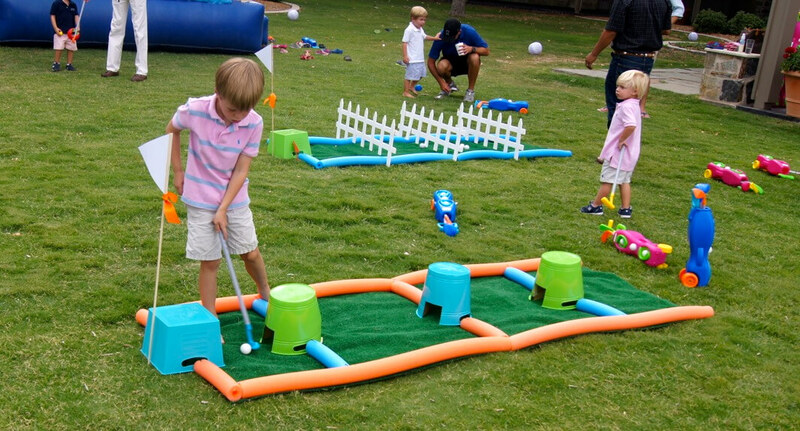 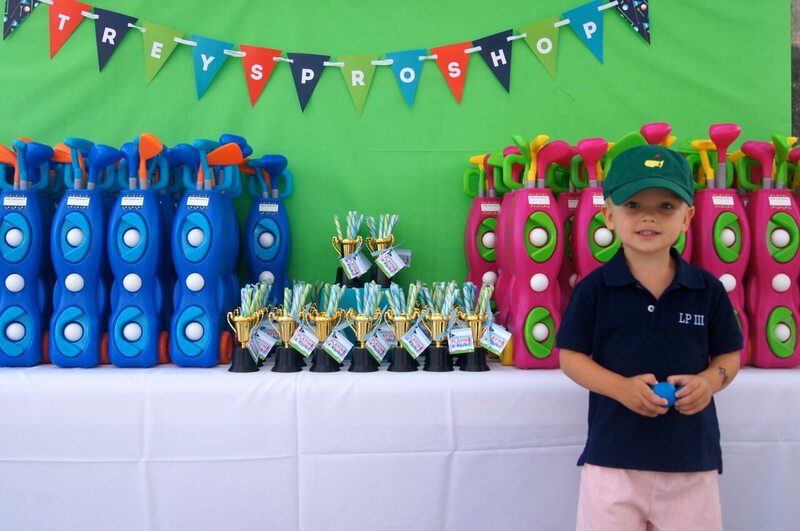 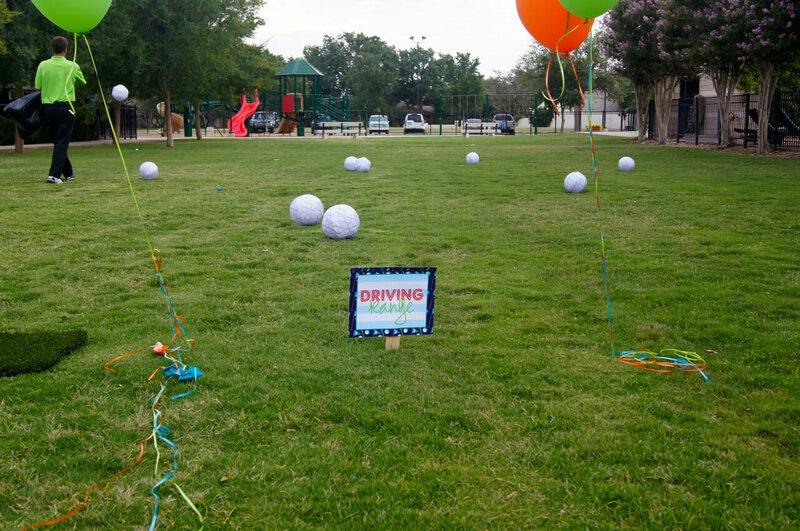 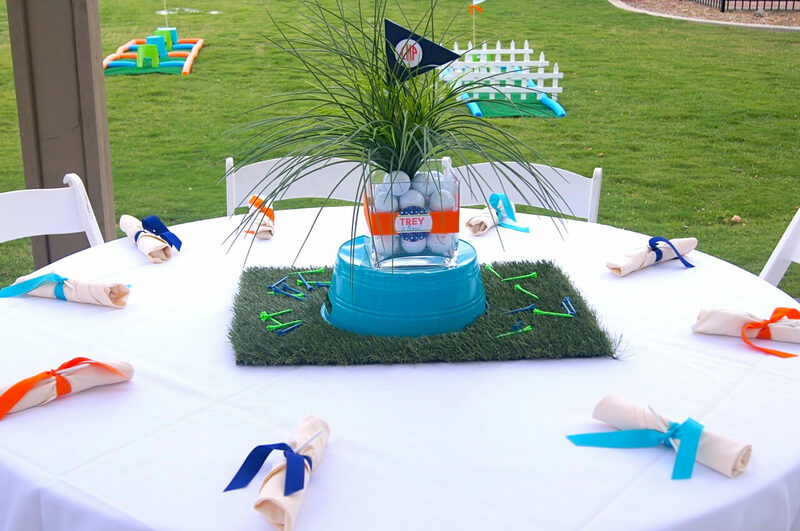 Everything about Trey’s golf themed birthday party makes us want to par-tee!! 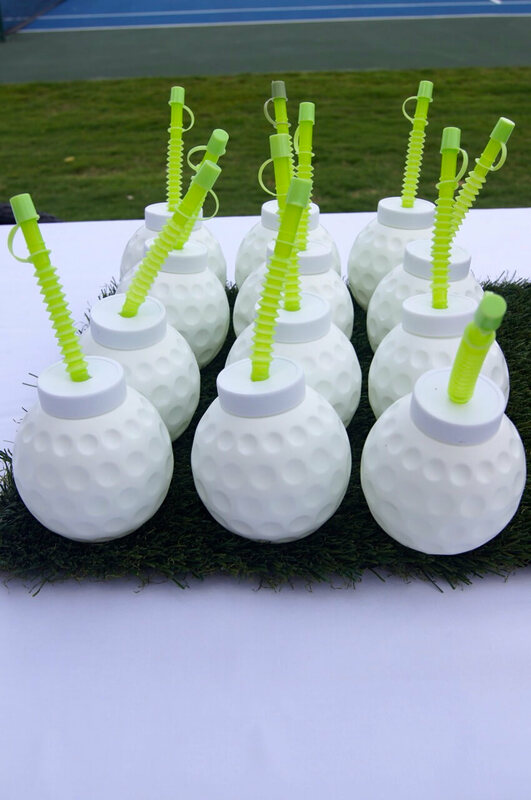 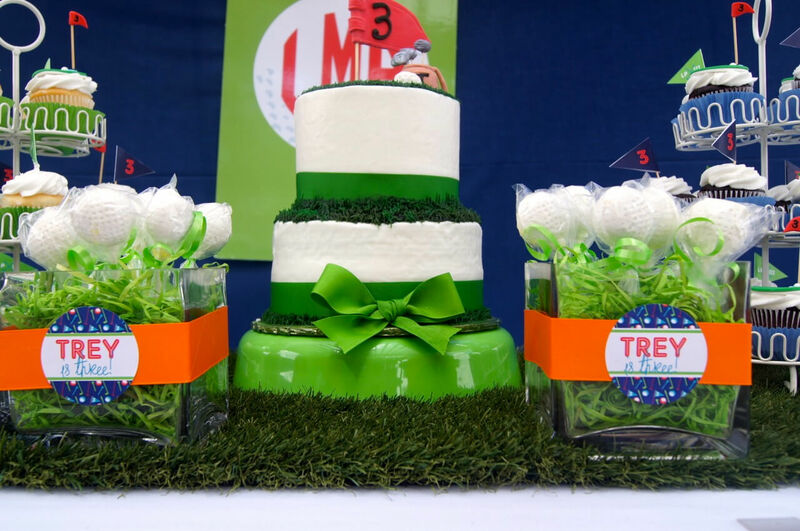 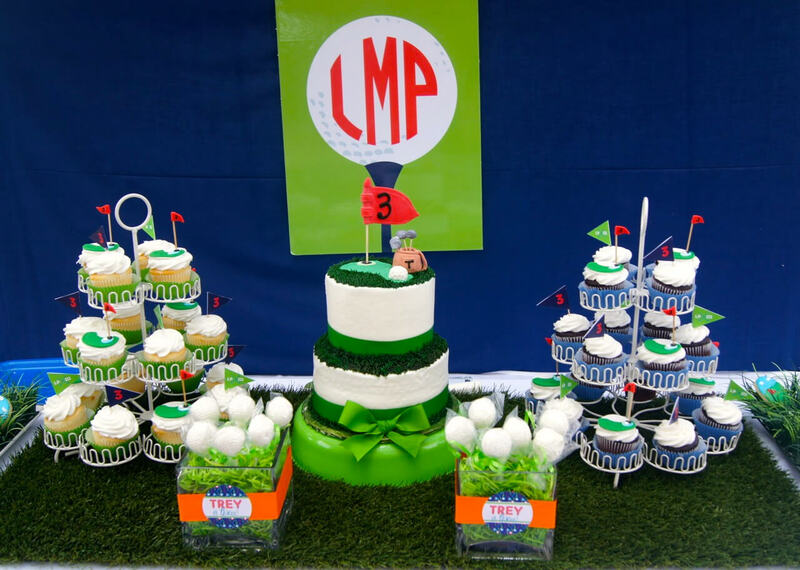 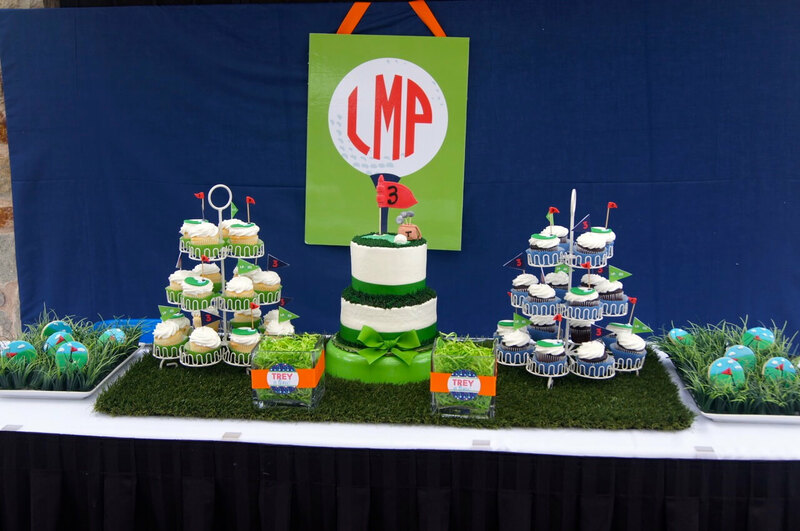 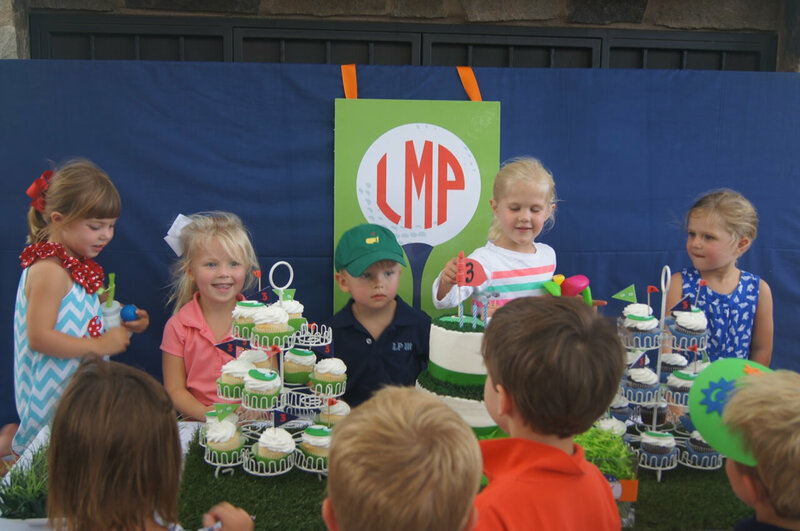 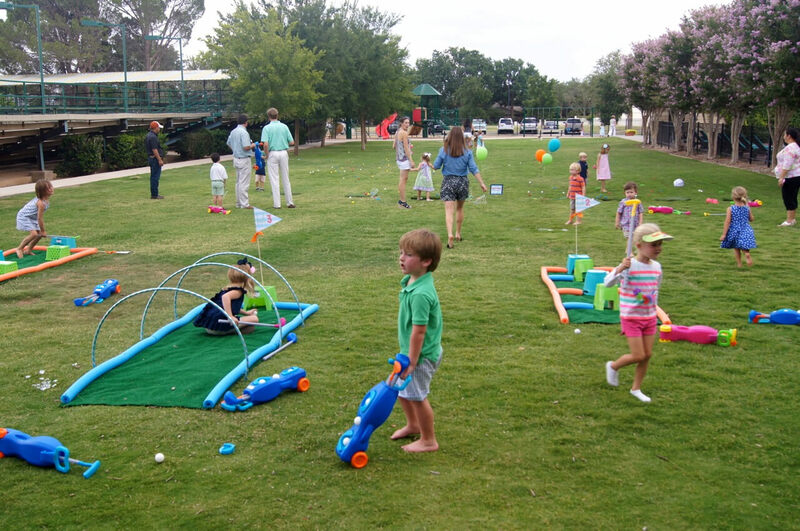 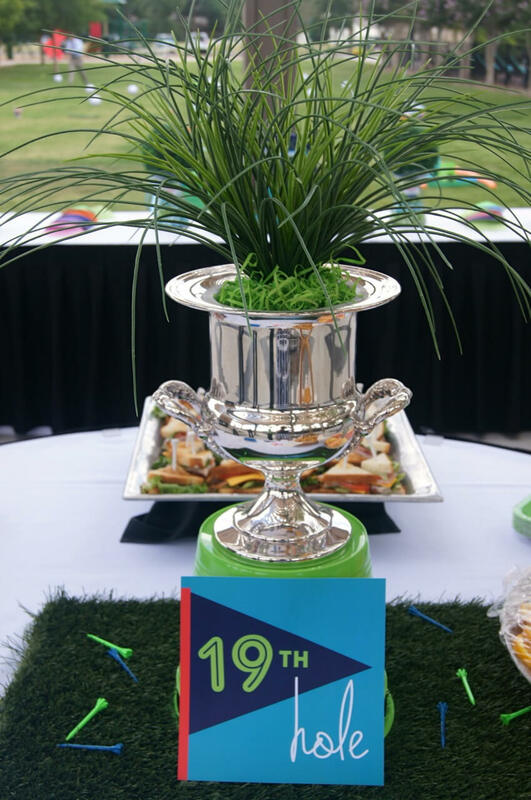 From his golf ball shaped birthday invitations to the custom putting green his mom created for the party…everything for his birthday was fabulous and fun. 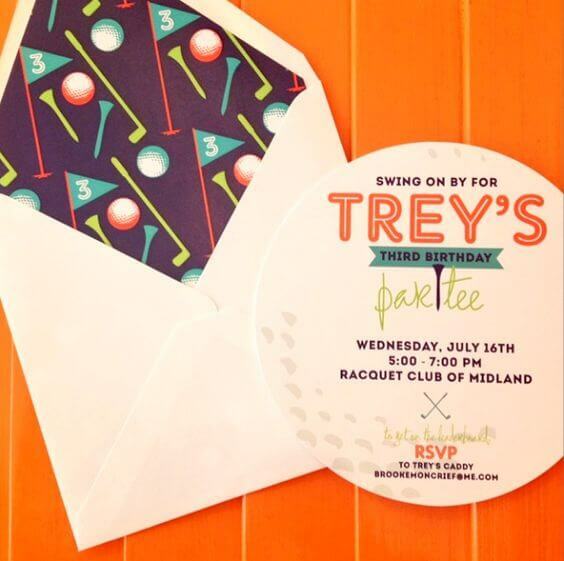 Trey’s golf themed birthday invitation was die-cut in the shape of a golf ball and included an envelope liner which featured pattern of tees, flags, and clubs! 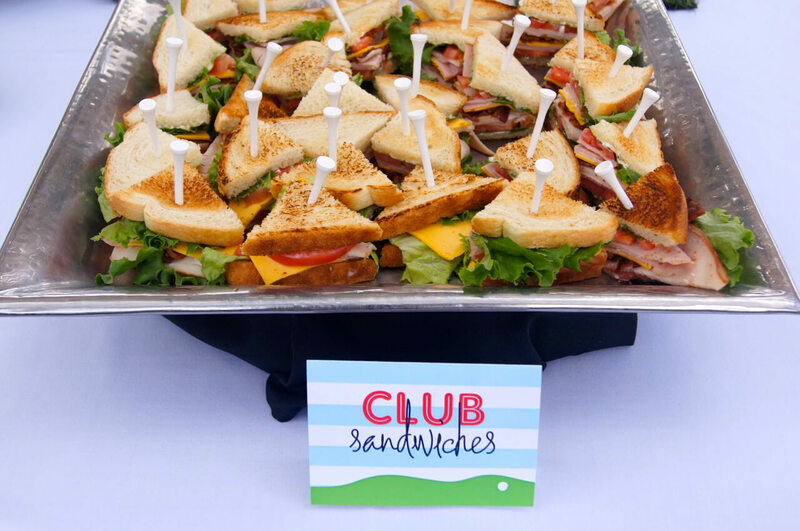 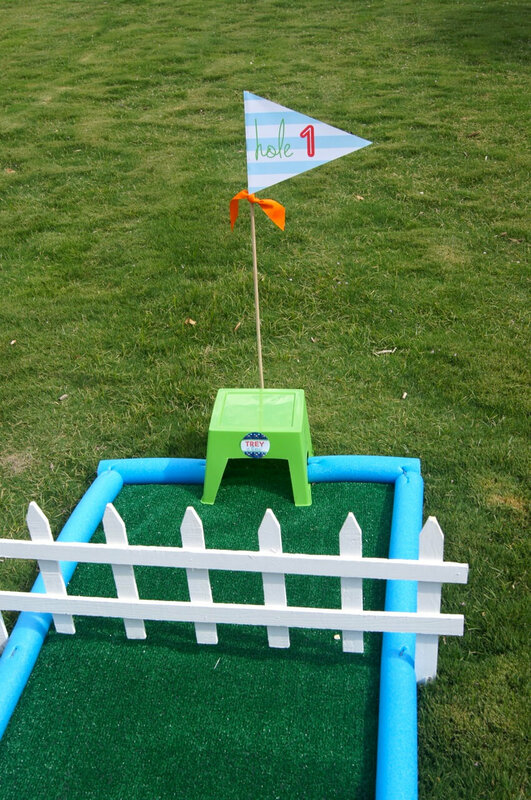 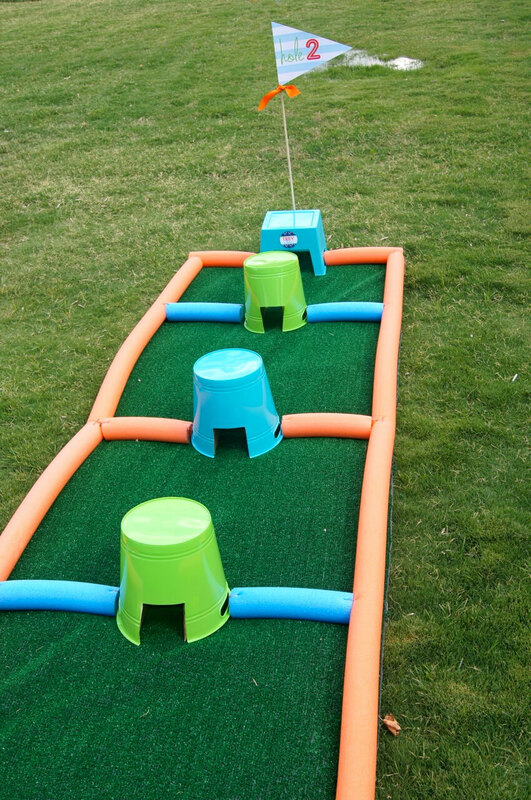 For the party, Trey’s mom constructed a golf course…so we helped her with flags for her hole. 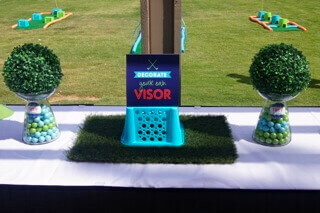 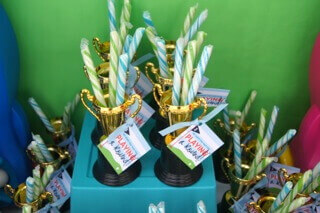 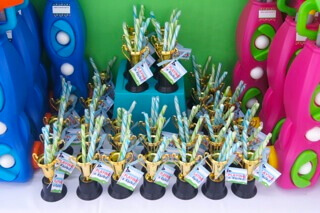 Each guest went home with a set of golf clubs, which we helped personalize by making name plates for each guest. 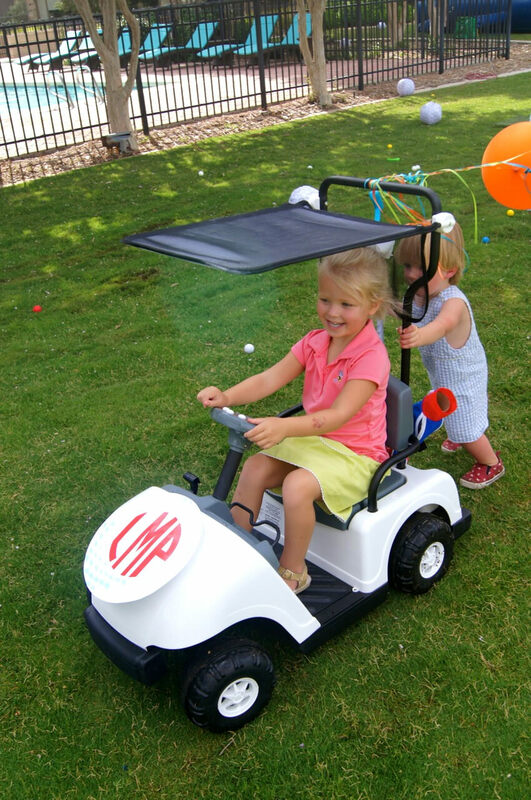 We even helped personalize the birthday boy’s mini golf cart by adding a monogrammed golf ball…now that’s swanky!